The process of blow molding has revolutionized the world of plastics and how people transport their goods. Its advantages of quick production and high volume output have allowed companies to cheaply produce receptacles for many of the world's most essential foods. We offer variety of these products. We are successfully meeting the varied requirements of our clients by providing the best quality range of Pet Blow Molds and Moulding. - We manufacture Plastic Pet Blow Molds for pet stretch molding. - All kinds of blow molds, jar molds, bottle molds, designer molds and custom designed molds. - We can also tailor make this range as per clients' specifications. Bright AutoPlast is a Pioneer among the major players in the development & manufacturer of two wheeler plastic components. Catering to all major platforms in two wheeler Scooter, Motorcycles, Step through, e-bikes. State of Art manufacturing facilities with Injection molding, 3 Coat PU painting & assembly. Our clients can avail Blow Moulding Consultancy Service from us. With the support of our highly experienced and knowledgeable employees, we are renowned as one of the reputed companies providing Blow Moulding Consultancy Service. This service is provided by our financial experts who explaining the entire process to our esteemed clients. We develop and manufacture design-intensive blow moulds of different cavities that are applicable in wide usage. These blow moulds are being used in a variety of industries for many purposes. Also, every blow mould is properly polished and provided with a finishing touch. 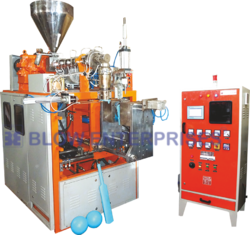 We offer a wide range of Blow Moulding Machines which are well regarded by our clients for their high efficiency and excellent performance as well as possessing cost effective features. These machinery are available in varied capacities and excel in reliability, durability and long working life. We have Blow Moulds to suit your design and requirement. Blow moulding produces hollow three Services-dimensional articles from many of the thermoplastics materials which are available as granules or powders. The simplest tool consists of two female parts which contain a cavity when closed.